Let's get your question answered. -WATCH FULL EPISODES: If you miss an episode, you can still watch all of the Disney shows you love with DisneyNOW! -MAKE IT YOURS: Pick your favorite Disney TV shows and create your profile using Disney Emojis. Your experience is fully customized and made just for you! -DISNEY JUNIOR MODE: Create a custom viewing experience for younger kids to enjoy. -DISNEY CHANNEL ORIGINAL MOVIES: Watch new and classic movies including Descendants 2. 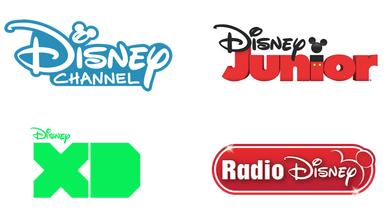 - ON NOW: When you're away from your TV, you can still watch Disney Channel, Disney Junior and Disney XD live,* including events like the Radio Disney Music Awards! -GOT A MINUTE? : Watch the DisneyNOW collection of funny shorts, clips and music videos. Parents: Please note that DisneyNOW contains advertising for The Walt Disney Company and some third parties. *Content may be available in U.S. only and subject to additional restrictions. Live, on demand, and advance viewing content requires current verified subscription for the applicable programming network(s) with participating TV provider. Go to the DisneyNOW website for details. Games are not available on the web or over-the-top devices. DisneyNOW does not support any other mobile devices, Smart TVs and set-top boxes not listed. What does the key symbol mean? Some DisneyNOW content has a key symbol. This means you'll be able to "unlock" this and more content if you subscribe to Disney Channel, Disney XD and/or Disney Junior through a participating TV provider. Simply sign in with your username and password for your TV provider. How do I use DisneyNOW? You can use DisneyNOW with a broadband Internet connection and a supported device that's within the United States and U.S. territories. Additional Features: You'll enjoy all the features of DisneyNOW if Disney Channel, Disney XD and Disney Junior are part of your package from a participating TV provider (and your subscription is in good standing). Not to worry, we are continually adding new cable, satellite, and other TV providers. Keep checking back to see if your provider is added. If you don't subscribe to a participating provider, you may still be able to watch a select list of full episodes or clips. You can also contact your provider and ask them to support streaming Disney Channel, Disney Junior, or Disney XD on your device. If you have additional questions, please contact us via our online feedback form. Is there an extra cost to watch my favorite shows here or on the DisneyNOW app? DisneyNOW is a free service for customers of participating TV providers. If you don't subscribe to a participating TV provider, you can still watch a select list of full episodes and clips on DisneyNOW. You will not be charged an extra cost to enjoy the additional features. This is an extra benefit available to you because you are a subscriber to one of our participating TV providers. Is there a Disney Junior only mode? 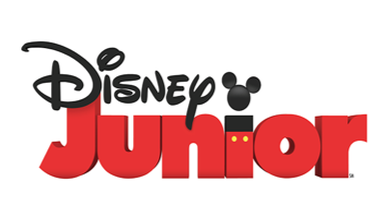 If you would like your child to only have access to Disney Junior content, you can do this by using the toggle on the top right of the webpage. Why am I asked to sign into my TV provider? By signing in to your TV provider, you'll be able to watch more content in DisneyNOW. Who are the participating TV providers? Select the key symbol anywhere in the app for a list of participating TV providers in your area. What if I forgot my provider's username and/or password? If you forgot your TV provider username or password, you can retrieve your login info directly from your provider's support site. In most cases, first-time users can also register for a username and password on the provider's site. Do I use my TV provider account info or my Internet provider account info to sign in? Please sign in using your login info for your TV provider, not your Internet provider. Why have I been automatically signed out of my TV provider account? You can't sign in to your TV provider if your browser is in incognito/private mode. Please go to your browser settings and turn this feature off. If you continue to have issues, please use our online form at https://disneynow.com/feedback to contact us. How do I activate my device? Once you choose your TV provider, you will receive step by step instructions to verify your account by using any computer or mobile device. A unique activation code will be provided that you will need in the verification process. If activation code doesn't work, the activation code has expired. To receive another activation code, click the menu button to exit app. Upon entering the app again, a new activation code will be automatically generated. I'm having audio issues. The audio is not playing. Or the audio is not synced to the video. 1. Check to see if you can play audio using another application. 2. Check that your speakers are turned on and aren't muted. 3. Close your browser or app and open it again. 4. Close other applications that may be open at the same time. 1. Confirm your device meets our minimum system requirements. If the problem continues, please use our online form at https://disneynow.com/feedback to contact us. Video does not play at all. 1. Check your Internet download speed (Internet download speeds should be 1.5 Mbps or better). Note: Your Wi-Fi or cellular signal strength icon does not determine your download speed. There are a number of apps that let you conduct a free "Internet speed test." 2. Close the app and re-open it. 3. Disconnect other devices that are connected to the Internet. 4. Restart your device as a last resort. Playback should not stop or stall under normal circumstances; however, video delivery may be disrupted during periods of network congestion, poor Internet connections, when too many Internet connected devices are connected at the same time, or when too many computer applications are open at the same time. 1. Confirm that your computer or device meets our minimum system requirements. 2. Close the app and open it again. 3. Drag the video scrubber backward several minutes in the program timeline. How do I turn off sound effects? If you would like to turn off DisneyNOW website sound effects turn the slider at the bottom of the webpage named "Sounds" to the off position. Why can't I find certain Disney episodes or movies that aired on TV? If you can't find the Disney episode or movie you're looking for, it's likely we don't have the rights to share it online at this time. I was watching a show or movie on DisneyNOW, but I can't find it anymore. That particular episode or movie may no longer be available. Unfortunately for certain content, we only have rights to share it online for a specific period of time. If you'd like to see this content return at a later date, please use our online form at https://disneynow.com/feedback to contact us. New episodes are added all the time. If you subscribe to one of our participating TV providers, you will be able to access full episodes the day they broadcast. Closed captioning is available for all video-on-demand (VOD) full episodes and live TV streaming (On Now). Click on the "CC" logo to turn closed captioning on or off. For any issues regarding closed captioning, the best way to contact us is through our feedback form within the DisneyNOW app. Alternatively you can contact Han Kim, Disney/ABC Digital Media, at closedcaptioning@customercare.com. Please include "Closed Captioning" in the subject of your email. You may also contact us by phone at 818-483-6537 or by mail at 2300 West Riverside Drive, Burbank, CA 91506. Please note that this is for closed captioning inquiries only. Can I resume playing a full-episode video from where I left off? Yes, if you're on the same computer and Internet browser, the player will automatically remember where you left off and allow you to resume the video you were watching. How can I watch in full screen? Full screen viewing is available. To get into full screen mode, move your mouse over the video player and the player controls should appear. Click the icon on the far right in the player controls, which should expand the player to full screen. When in full screen mode you can exit by clicking the icon again. The player control bar will disappear after a few seconds once the mouse has been inactive. To get the player control bar to re-appear just move the mouse. Another way to get out of Full Screen mode is to click the ESC key on your computer. Is there a cost to download the DisneyNOW app? The DisneyNOW app is free to download on supported mobile devices. Does the DisneyNOW app support iCloud for syncing between iOS devices? No, DisneyNOW currently doesn't support iCloud for syncing between iOS devices. Can I use my iOS device to connect DisneyNOW to my Apple TV using AirPlay? Is Chromecast supported by DisneyNOW? Yes, Chromecast is supported for Videos On Demand. *Only compatible with Chromecast receivers and not with Cast-enabled devices. While downloading the DisneyNOW app, the download stopped before finishing. 1. Touch and hold any application icon on the Home Screen until the icons start to wiggle. 2. Tap the "x" in the corner of the application you want to delete. 3. Tap Delete to remove the application and all of its data from your device. 5. Go to the App Store. 6. Search for "DisneyNOW" and download the app again. Is the DisneyNOW available outside the U.S.? DisneyNOW is only available if you're physically located within the U.S. or a U.S. territory (including Puerto Rico, Guam, Saipan, American Samoa, U.S. Virgin Islands). Can I access Disney Channel online if I'm traveling or away from home? Yes, you can access https://disneynow.go.com from your supported device if you are traveling within the U.S., or its territories and have data access (e.g. LTE, 3G, 4G, mobile hot spot). Please note that you must have access to a fast Internet connection speed (at least 1.5 mbps or better), otherwise your video playback may be hindered. See system requirements below. A high speed Internet connection with sufficient download speeds of 1.5 Mbps or better. 1. Click the spanner "wrench" icon on the browser toolbar. 3. Choose Content from the top navigation. 6. Under 'Active Scripting,' select Enable and click OK.
1. Open the Safari menu on your browser's toolbar. The site is asking me to accept cookies. What is this? How do I do this? Cookies can be used to tell you what is new since your last visit and to store your login information so you don't have to enter it on each visit. 1. Click Start > Control Panel. (With Windows XP Classic View, click the Windows Start button > Settings > Control Panel). 2. Double-click the Internet Options icon. 5. Select "Override automatic cookie handling" under the "Cookies" section in the Advanced Privacy Settings window. 6. Select the "Accept" or "Prompt" option under "First-party Cookies." 8. In the Internet Options window, click OK to exit. 1. Click Tools > Options. 2. Click Privacy in the top panel. 3. Set "Firefox will:" to Use custom settings for history. 4. Check the box next to "Accept cookies from sites" to enable cookies. 1. Go to the Firefox drop-down menu. 4. Set "Firefox will:" to Use custom settings for history. 5. Check the box next to "Accept cookies from sites" to enable cookies. 4. Click Content settings in the "Privacy" section. 5. Select Allow local data to be set to allow both first-party and third-party cookies. If you only want to accept first-party cookies, check the box next to "Block all third-party cookies without exception." 1. Select Chrome > Preferences on the menu bar. 2. Click the Under the Hood tab. 3. Click Content settings in the "Privacy" section. 4. Select Allow local data to be set to allow both first-party and third-party cookies. If you only want to accept first-party cookies, check the box next to "Block all third-party cookies without exception." 1. Go to the Safari drop-down menu. 3. Click Security in the top panel. 4. Under "Accept Cookies" select Only from sites you navigate to. I am serving on a U.S. military base located outside of the U.S. Can I still use DisneyNOW? Yes, if you're physically located on a U.S. military base that happens to be outside the U.S. and you are using a military-operated Internet connection (not a commercial Internet provider), then you'll be able to access DisneyNOW. If you meet the above requirements but still can't use the service, please use our online form at https://disneynow.com/feedback to contact us. Why can't I play games on my connected device? DisneyNOW games are currently available on the DisneyNOW website, iOS, and Android apps. Do I have to sign in to play games? No, you don't have to sign in to your participating TV provider to play games in DisneyNOW. What is Complimentary Disney Hospital Access? Complimentary Disney Hospital Access is an offering that brings the magic of Disney Channels to patients and families during their stay at participating hospitals. Patients and families at these participating hospitals can enjoy free access to Disney Channel, Disney Junior and Disney XD full episodes, Disney Channel Original Movies and live Disney TV on the DisneyNOW app. What is the DisneyNOW app? 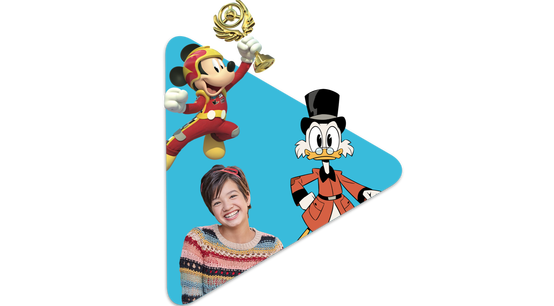 DisneyNOW is the home of your favorite Disney Channel, Disney Junior and Disney XD TV shows, games, Disney Channel Original Movies and live TV – all in one place! Is Complimentary Disney Hospital Access Free? 3. Select "Complimentary Disney Hospital Access" under TV providers. Note: If using an iPhone, iPad or iPod Touch, select "Don't Allow access to your TV provider subscription" before selecting Complimentary Disney Hospital Access. If you already allowed access to your TV Provider, disregard the following steps and enjoy DisneyNOW with your TV provider subscription. How do I connect to Complimentary Disney Hospital Access? At Texas Children's Hospital, please connect to the Care WiFi network on your device in order to use Complimentary Disney Hospital Access. Why can't I connect to Complimentary Disney Hospital Access? You must be at a Texas Children's Hospital location to enjoy Complimentary Disney Hospital Access. If you're having trouble connecting, please ensure that you're connect to Care WiFi. Please note: If your stay is longer than two days, you will have to sign in to Complimentary Disney Hospital Access after two days. 3) Disable DisneyNOW under "Allow TV Provider Access"
3) Enable DisneyNOW under "Allow TV Provider Access"
Will the hospital provide a mobile device? Which devices support the DisneyNOW app? Do I have to be connected to Complimentary Disney Hospital Access to play games? No, you don't have to be connected to Complimentary Disney Hospital Access to play games in DisneyNOW. DisneyNOW also has shorts and some full episodes that do not require Complimentary Disney Hospital Access.